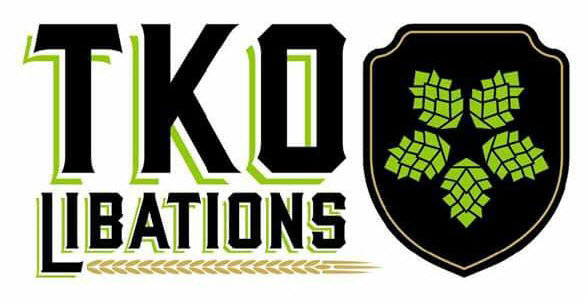 The address might say Lewisville, but based on where the soon-to-be brewery is located, it's clear that TKO Libations is looking to carve out its own corner of the Metroplex. One reason for that is because TKO is set up in the community of Castle Hills, a development more in proximity to the town of Hebron than what words on a mailbox might have you believe. Almost like its own little world, the neighborhood is a place with enough workspace and amenities that one imagines some residents never have to leave. Given that, it's an ideal setting for a brewery looking to separate itself from the crowd, which founders Cory Kuchinsky, Kam Maude and Ty Sefton hope to do by way of an experimental approach to making beer. "Our goal is to cater to those consumers who tend to jump from beer to beer," says Sefton. "We'll be doing all kinds of small varieties, and we plan to change things up a lot. Since we'll only be brewing with a seven-barrel system, we can shoot recipes off into separate holding tanks to create different flavor combinations." That doesn't mean TKO won't have staples, but indications are that consumers should expect to try something new virtually every time they visit. In fact, insight into how the brewery will go about using the 20 taps it has available can be found in the beers being considered for opening day. "Our initial lineup will include a blonde, a porter, a wheat beer and an IPA," reveals Sefton. "We may split each of those to make flavor variants as well, like a blueberry blonde and a seasonal porter (either a gingerbread or pumpkin coconut version). We also hope to brew a few British styles soon, like an ESB, a brown ale or a regular bitter, so we can use the beer engine we've acquired to provide hand-pulled cask ales!" barrel-aging. For the latter, the founders intend to source various types of port, wine and whiskey barrels (TKO Libations). At least to start, no matter what beers are being poured, you'll only be able to get TKO's libations at the brewery. "We're not going to be distributing when we open," says Sefton. "We'll sell in-house at first, and then change things up based on support. If we grow to a certain point, they we'll probably start canning." Patrons will have the option of getting beer to go, since the company will operate with a brewpub license. Growler fills will be available, and a crowler machine is already on site. Plus, Sefton has hinted that a few barrel-aged offerings may eventually make their way into bottles. As for what TKO will serve besides beer, the brewery will make and sell its own craft soda, with coffee, tea and wine being on the menu as well. Food won't be made in-house, but consumers can grab a bite from roughly a half-dozen restaurants situated in the same retail center. So, when will TKO hold its first main event? Final inspections are underway as we speak, meaning the inaugural brew day is imminent. Once that happens, Sefton says it's a matter of working through their brew schedule to prepare for the debut. At this point, a grand opening is still a few weeks away, but expect an official announcement on that topic to occur in mid-to-late October. 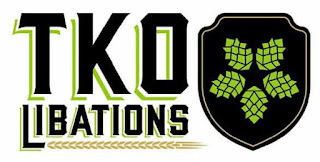 Track brewery developments by following TKO Libations on its social media channels: Facebook, Twitter, Instagram.